Until just a few days ago, Nadiya and her family were living in a small village on the outskirts of Mosul. Forced to live under ISIS control since June 2014, the last two and a half years have been a constant nightmare for the family – and countless others like them. From food and medicine shortages, to the perpetual fear of violence, families have had to live in unbearable conditions. Now, as the battle to liberate Mosul from ISIS control intensifies, thousands of families are desperately seeking to flee the battle zone. For Nadiya and her family, this involved a terrifying day sheltering from indiscriminate bullets and bombs when the fighting finally reached their village, before they eventually fled on foot. “We never thought we’d be able to escape alive,” she says. Today, Nadiya, Ali and Ali’s baby sister are all being cared for at Shikhan Hospital in Northern Iraq. Doctors are particularly concerned about Ali’s sister. She’s only a month old, but she has developed a severe chest infection. This busy frontline hospital is providing a critical service for thousands fleeing Mosul. 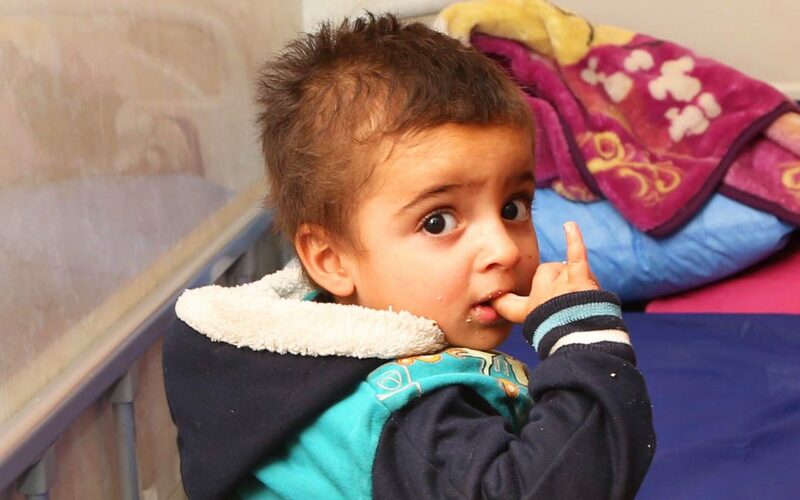 In the neighbouring ward lies four-year-old Mohammed. Soldiers fired at his house believing it was an ISIS-base, killing three of his brothers and his two older sisters. His aunt is fighting for her life after sustaining severe head injuries in a missile explosion, whilst his mother lies traumatised in another ward further down the hall. With the generous support of Hunt Oil, AMAR is providing Shikhan Hospital with vital medical equipment such as hospital beds and nebulisers, helping to ensure the hospital keeps on running and enabling it to support even more families.